Lead item on the BBC's main evening TV news yesterday was a report on the letter from the British Retail Consortium, signed by the chief executives of Sainsbury, Asda, Marks & Spencer, and others, including McDonald's Restaurants. The BBC online report headline gives the flavour of the letter, declaring: "No-deal Brexit 'to leave shelves empty' warn retailers". We get much the same from The Times, with the headline: "Supermarket chiefs warn of food shortages after no-deal Brexit". With nearly one third of the food in the UK coming from the EU, the letter actually says, "In March, the situation becomes more acute as UK produce is out of season". At that time of year, 90 percent of lettuces, 80 percent of tomatoes and 70 percent of soft fruit sold in the UK is grown in the EU and, "as this produce is fresh and perishable, it needs to be moved quickly from farms to our stores". This complex, "just in time" supply chain will be significantly disrupted in the event of no deal, say the retailers. But, while the Mail online publishes the text of the letter as part of its report, nowhere do I see any of the media accounts specify in detail the precise mechanism of disruption. To find this, one needs to dig deep into the letter where we learn that, "Even if the UK government does not undertake checks on products at the border, there will still be major disruption at Calais as the French government has said it will enforce sanitary and customs checks on exports from the EU, which will lead to long delays". Manifestly, this is not true. EU "official controls" which cover the inspection of foodstuffs, do not extend to checking produce exported from EU Member States. And, while I have been following French government pronouncements very closely, I am not aware of anything from that source that would indicate that any such checks are intended. Taken at face value, it would appear that the proximate cause of any potential delay is fictional. There will be nothing at ports such as Calais, by way of official intervention, which would restrict the flow of goods from EU Member States to the UK. In multiple pieces written on this blog over several years, I have advanced that the major problem at Calais (in particular) will be queues of traffic off the ferries from Dover, clogging up the port while awaiting clearance. And if thousands of lorries cannot get out of the port, that prevents outgoing traffic boarding the ferries to make the trip to Dover. The effective control to avoid this problem, I suggested last year, was to introduce a permit system, so that only lorries with pre-cleared loads would be allowed to board ferries at Dover, keeping the route free for goods coming from the continent. Since the UK government has already indicated that it does not intend to impose extra checks on food products from EU Member States, there should be nothing to prevent the free passage of goods from farm to supermarket. Any blockage would not be directly the result of a no-deal Brexit, per se, but from a failure of traffic management. Why senior executives of some of the largest retail enterprises in the country should get it so wrong is an interesting subject for speculation. Knowing a little of how supermarkets work, one tends to find that their management structures are almost feudal in character, so this could be as simple as one or more of the senior managers making a simple mistake, and none of the staff daring to say he was wrong. There would certainly appear to be another illustration here of a more general phenomenon. Contrary to popular myth, in hierarchical organisations, the higher up the chain one goes, the less knowledgeable the management becomes. It does not at all surprise me that chief executives of major supermarket companies, and officials of the British Retail Consortium should not know the basics of how the post-Brexit food control regime will work. Even if unrecognised, it would seem that ignorance is a pervasive feature of contemporary politics – something which Barnier's deputy, Sabine Weyand, was keen to point out at a European Policy Centre (EPC) seminar in Brussels yesterday. In a surgical dissection of the current debate, she observed that a lot of the discussion of the withdrawal agreement in the UK was "uninhibited by any knowledge" of what it actually contained. When, at the same seminar, Sir Ivan Rogers, made similar remarks, it is fairly evident that we have the makings of a serious problem. He was reported as saying that the "level of understanding" amongst even the best briefed MPs of what was in the deal was "strikingly low". He explained that there was an "enormous gap" between what the executive understood, what the people at the core of the negotiations understood and what the legislature understood. This is more complex a picture than the blind leading the blind. We have different levels of ignorance, over a wide range of different subjects, with players spreading confusion between themselves to an alarming degree. Yet there are no purposeful attempts to remedy the situation. As we saw yesterday with Delingpole, the propagandists revel in their own ignorance and do nothing to improve matters. Unsurprisingly, this is spilling over into parliament where, as Sir Ivan remarks, no one really has the first idea of what is going on and "anyone who tells you they have the faintest clue what's going to happen next in the Commons is usually lying". The worst of it is that it is increasingly hard even to care. The prattling buffoons who inhabit Westminster have long since ceased to excite any interest. And at the heart of the mad debates and machinations going on in the House is the Withdrawal Agreement which requires ratification. Yet MPs seems to have enormous difficulty in understanding that this is a non-amendable instrument. Parliament can either ratify the whole thing, or reject it. It cannot change it. Despite that, change is exactly what they are trying achieve. They are expecting the EU to re-open the book and accept fundamental changes. But, when Weyand repeats for the umpteenth time that there will be no further negotiation between the UK and EU, to expect anything different is beyond stupidity. It dwells in the realms of insanity. What happens later today in the Commons, therefore, is a matter of supreme indifference. Whatever the outcome, all we will get is another day older and closer to Brexit day, whence Weyand asserts that there is a "very high risk" of crashing out, not by design but by accident. And while the great (and not so good) are waking up to the prospect of an accidental no-deal Brexit, this was the theme that I was writing about in July 2016, only a month after the referendum. Then, I compared it with the scenario which brought the First World War into being, where the troops were mobilised and there was no means of turning back. And it was precisely then that I was warning (and not for the first time) about serious perturbation to the Customs system and the management of traffic flow at the borders and UK ports. Within a week, I had suggested, Operation Stack could have reached Leeds, as the disruption spread. In a way, it is good to see others catching up, with Sky News reporting last night on the effects of Brexit on horseracing – an issue I first raised almost exactly two years ago. More up-to-date, Sky News has finally realised that border checks at Calais come under the control of Paris, acting to an EU mandate. Almost as if they had been reading the blog, they are actually reporting that the decision on scale of checks carried out at the port is not one for local politicians "but for the central government in Paris and the EU Commission in Brussels". But if we are seeing a limited dawning of realism in certain quarters, it is too little, too late. Leader in the field in its warnings of chaos is the Road Haulage Association, which is currently calling on MPs "to avoid the disaster of a cliff edge Brexit", but as long as such warnings are treated as "project fear", there will never be the clarity of message or of purpose which will galvanise the right people into action. And when the senior executives of some of the largest retailers in the land simply don't know what they are talking about, and are issuing what amounts to spurious warnings, there is plenty to sustain claims of project fear. The corporates are just about as effective in their warnings of a no-deal scenario as they were in spreading the terror over leaving the EU during the referendum campaign. 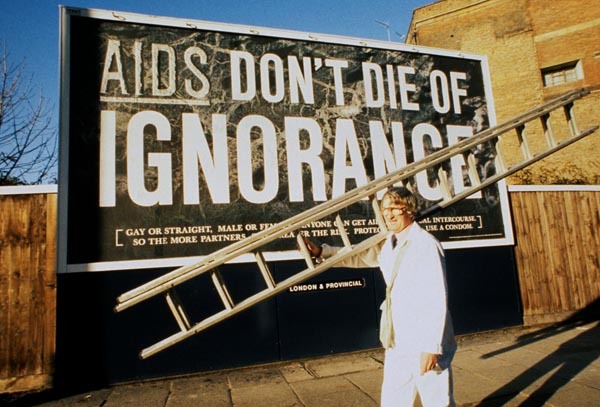 One is thus reminded of the government-inspired campaign on AIDS in 1986, which adopted the slogan, "don't die of ignorance". A joke doing the rounds shortly afterwards had a distraught little girl rushing home after her teacher had branded her "ignorant". "Daddy", she cried when she burst indoors, "does that mean I'm going to die?". The joke is now on us. After all those years and heady aspirations, Brexit is prostrate before us – dying of ignorance.